It is indisputable that digitisation is reshaping the way the retail industry operates, including how it delivers value to its customers. Retailers (such as Decathlon) are now having to cater to both omni-shoppers (customers who shop on all channels) as well as customers who shop solely online. This mesh between shopping on- and offline means that retailers must keep both channels up to par with the increasing expectations of their customers. To boost the online experience and meet these expectations, Decathlon has adopted a customer feedback programme. 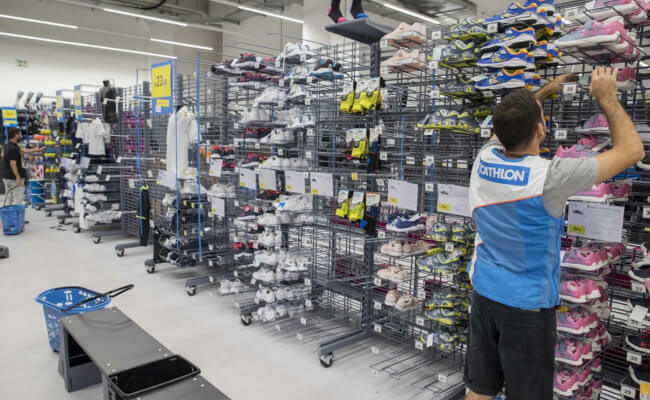 Using Mopinion’s feedback analytics software, Decathlon obtains insights into website usability, customer satisfaction and more – all with the goal of providing a smooth and seamless online experience as well as optimising critical journeys such as product search and selection. This is done by collecting feedback metrics such as Goal Completion Rate (GCR) as well as focusing on the sentiment of feedback items (e.g. negative and positive responses and how these correlate with the different pages). Using an API connection, all feedback is linked up with their Business Intelligence (BI) tool and Google Analytics. Decathlon, the world’s largest sporting goods retailer was founded in 1976 in Lille, France. They are present in forty-six different countries across the globe and offer 20 different brands, each dedicated to a certain sport such as Quechua, B’twin, Fischer, Domyos, and more. In addition to nearly 1100 physical stores, Decathlon serves its shoppers online through their corporate websites. Here visitors can research and purchase products for delivery as well as receive sports advice. We are excited for the launch and are very much looking forward to long and prosperous business relationship with Decathlon!